The Yutaka range are authentic Japanese food products. The range includes ingredients for sushi, sauces, soups, rice, noodles and “easy to use” meal kits. Having been the first in the market, the brand continues to be the leading authentic Japanese range in 16 countries across Europe and the Middle East. There are simple instructions on the back of the box which are so easy to follow. Chop your onion into small pieces. Then add your oil – just enough to gently fry your onion. Fry on a low heat and until golden brown. Once your onions are nice and golden add 800 ml of cold water to your pot and bring it to boil. Once it’s boiling turn the heat down and allow it to simmer for about 7-10 minutes. Allow the onion/water mixture to cool down for while before adding 100g of Yutaka Curry cube into the pot. Stir your mixture until the cube completely dissolves. Let this simmer on a very low heat and stir until the sauce thickens. Cut the sweet potato into half cm slices. Then clean them thoroughly with water and then spice with salt and pepper. Prepare your station with your sliced sweet potato, flour, cornflour mixture and Yutaka Panko. Place your sweet potato slice into the flour, then dip it into the cornflour mixture before coating it with Yutaka Panko. Make sure the oil isn’t too hot just warm. You want to place your coated slice into the oil gently making sure not to burn yourself. Cook the slices on each size for a few minutes or until golden brown. Remove from the oil and leave to drain on a paper towel. Serve with some white rice and your curry sauce. It’s a YES from us. 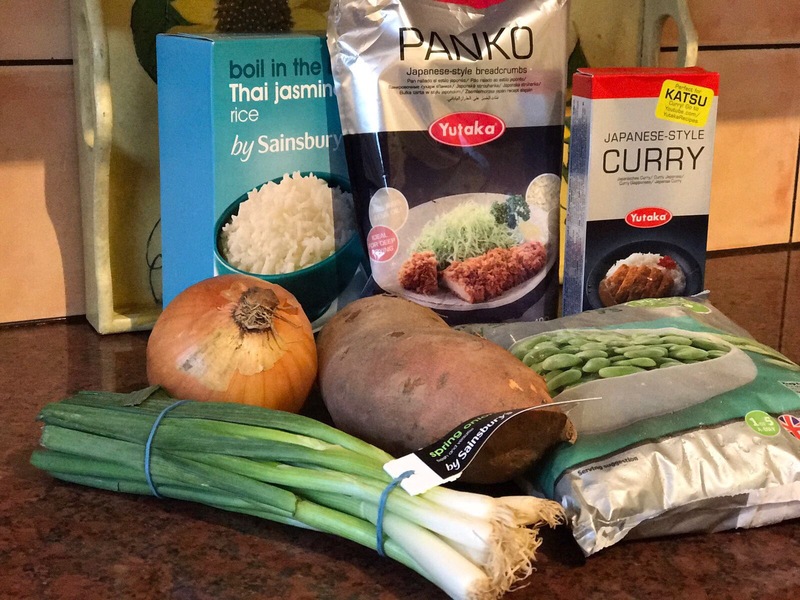 Yutaka’s Katsu Curry sauce has a delicious, mild flavour. 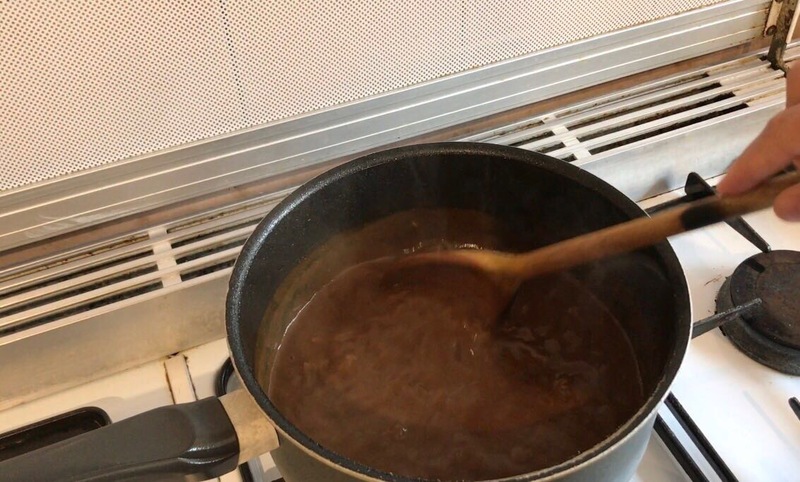 It has been created using a traditional recipe. I haven’t tried this meal before and it was surprisingly tasty. These products are available in Sainsburys & Tescos and priced around £2. 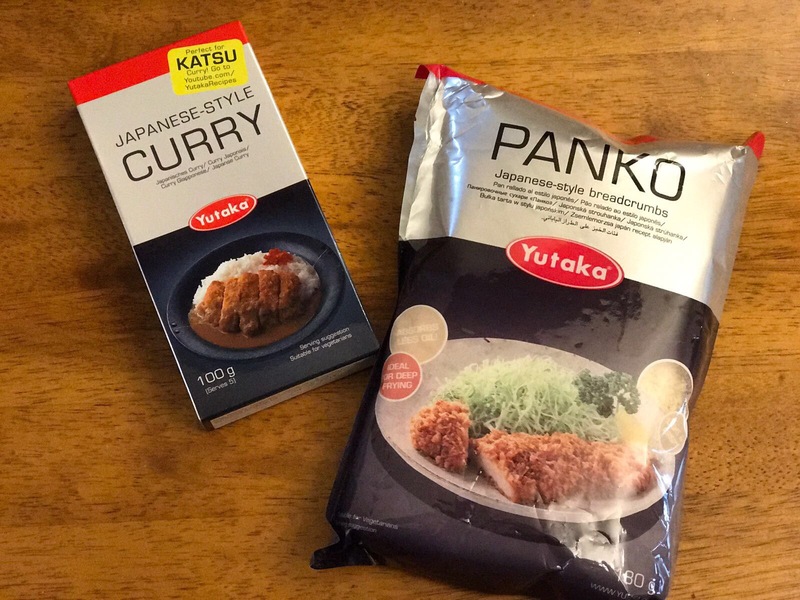 Yutaka also sells the Panko Breadcrumbs I used – which is by the far the best breadcrumb I’ve ever used – to complete the authentic Katsu taste. This meal was a hit at dinner time. Everyone enjoyed it and just couldn’t get enough, even the toddler. Have you tried Yutaka’s product range before? What was your experience? Disclaimer: We received these products and a recipe to follow in exchange for an honest review. However, all pictures, thoughts & opinions are our own.